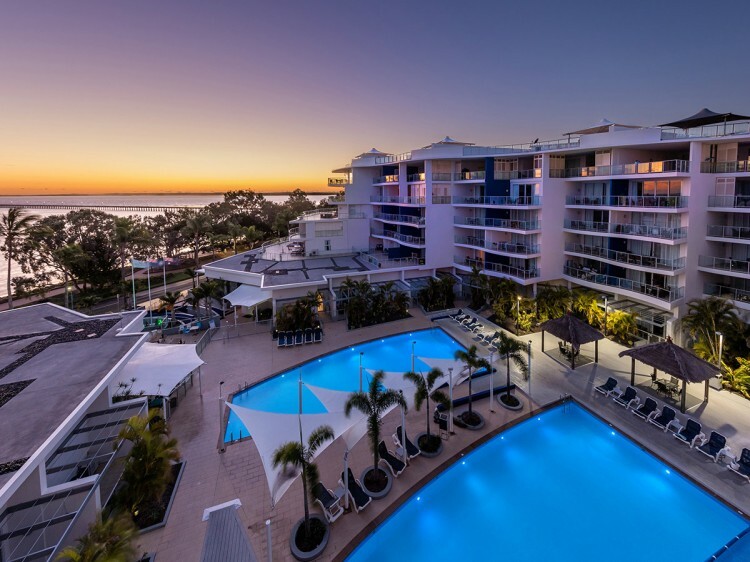 Located three hours drive north of Brisbane and two hours north of the Sunshine Coast, Oaks Resort and Spa Hervey Bay (formerly Oceans Resort & Spa) is one Queensland's premier waterfront resort getaways. 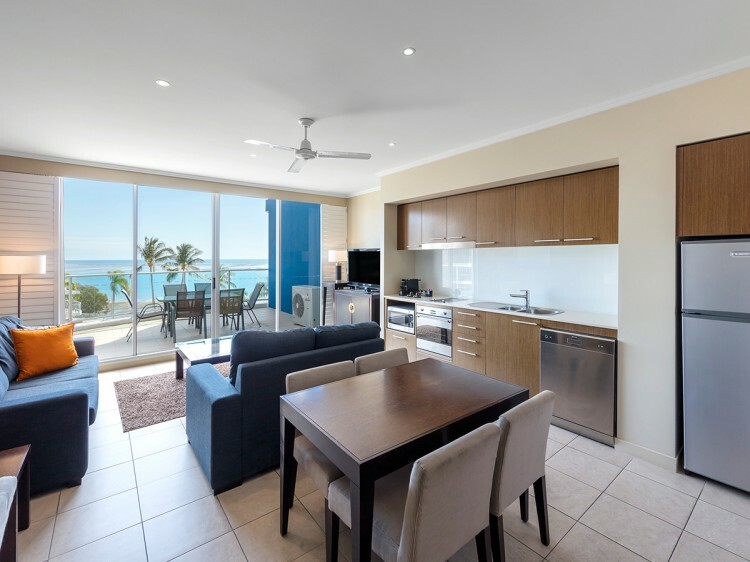 Situated on the Esplanade opposite Urangan Beach and its famous pier, most rooms at Oaks Resort and Spa Hervey Bay boast unrestricted water views of the bay and Fraser Island from its six levels of deluxe Hervey Bay apartment accommodation. In keeping with its seaside village lifestyle environment, the resort's distinctive curvature and tiered design is influenced by the form of ocean waves. 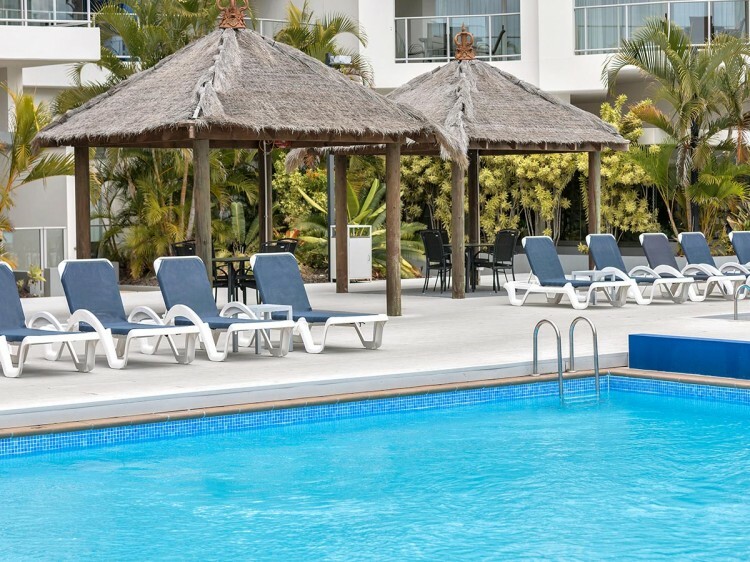 Oaks Resort and Spa Hervey Bay features a landscaped lagoon swimming pool and lap pool, restaurant and café, premium conference and meeting facilities, and a health club offering a range of massage and beauty therapies for pampering and relaxation. Enjoy views of the pool from your private terrace or balcony. Located on the upper floors overlooking the ocean. Located on the upper floors with unobstructed ocean views. Located on the ground floor with direct access to the resort pools. Split over two levels,featuring a stunning entertaining deck on the top level, stylish furnishings and superb facilities with expansive views over Hervey Bay. 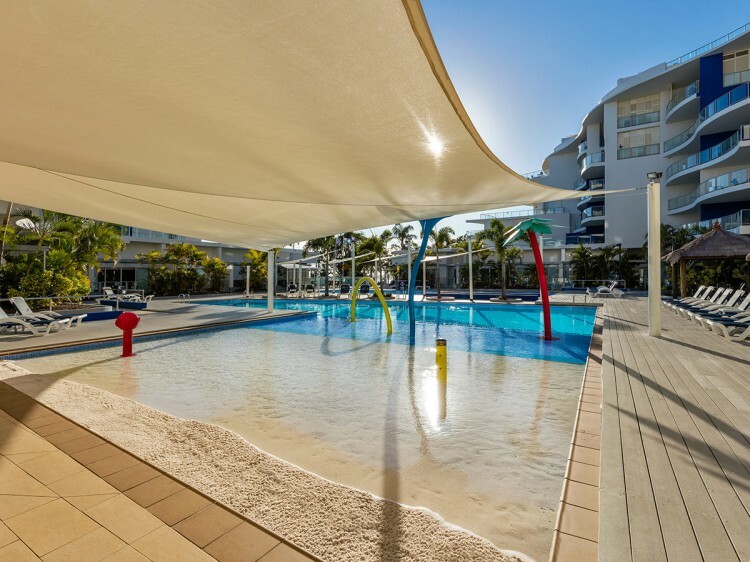 Ramada Resort by Wyndham Hervey Bay is located in the Marina Precinct - the gateway to Fraser Island. Whether you are seeking a scenic escape at the bay, an adventurous getaway, or a romantic retreat, you will find all the attributes to provide guests with a memorable stay.